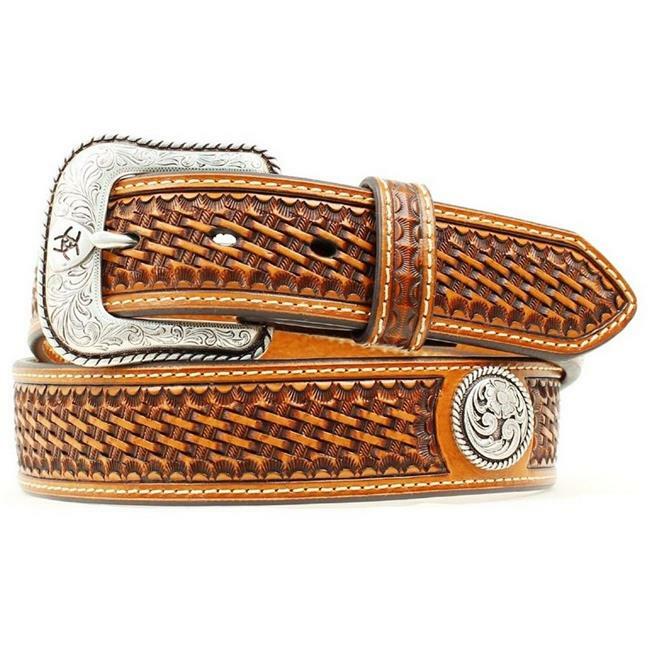 This Ariat leather belt Western Products features a basket weave stamp embossed design. The silver floral Conchos are placed evenly throughout the belt. It has a horseshoe buckle with the Ariat logo. 1.5 in. wide.